According to the World Bank, government policies that support more opportunity and education for women promote greater economic development. Given that over 70% of the beneficiaries of greater financial inclusion are women, does this equally apply to mobile money usage? Much of what’s been written about women and mobile money focuses on the end user, and the positive macroeconomic impact created by empowering women with financial services. While it’s a no-brainer to invest in financial inclusion for women, current marketing and distribution models seem to prevent women from accessing mobile money. Can operators and financial service providers (FSPs) facilitate mobile money adoption by women by rejigging the supply side of the equation? Although women are a key piece of the mobile value chain, there remains a low level of mobile money adoption among women. Key challenges include generally low literacy rates among women in emerging markets, alienating marketing strategies that are limited to pamphlets and written documents and which do not directly address women, and women’s need for more time to adapt to new technologies. On the latter point, studies show that women prefer to make twice the number of interactions than men before they feel comfortable independently using financial services technologies. Additionally, more than 150 countries have cultural and regulatory barriers in place that prevent women from accessing financial services, from preventing them from applying for a national ID and/ or opening a bank account to inhibiting communication directly with male agents. According to the GSMA, enlisting female agents may be the most effective way to overcome low literacy rates – as well as low mobile phone penetration. 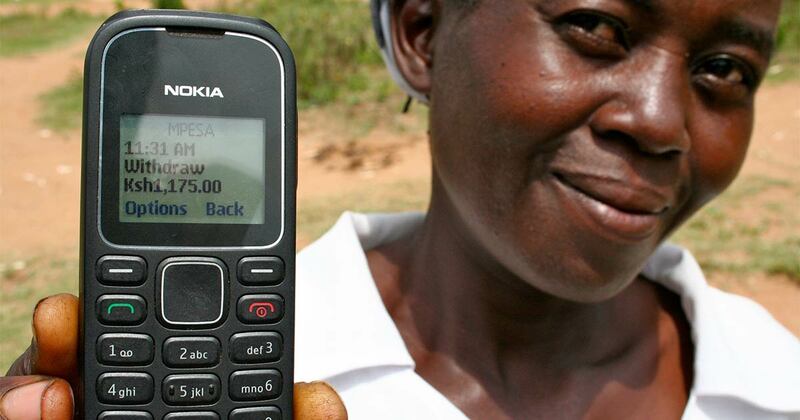 In middle-to-low income countries, women are 14% less likely to own a mobile phone than men. Hiring quality female agents helps to build a woman’s confidence and trust in using financial services. In some Muslim communities, the presence of female agents is often the only way to disseminate the services among women. Companies that have put in the extra effort into recruiting female agents have found that women, in general, are a better investment. According to the Cherie Blair Foundation, operators have discovered that female mobile money agents lead to increased sales, access to new markets and a stronger brand image based on more thorough product communication. Zoona, a money transfer startup builds agent networks to process mobile money transactions. After launching in Zambia, the company found that women tend to be better at running the business. “They are more organized, better at settling credit and reinvesting in their business,” says Zoona’s PR & Communications Manager, Karim Amade. The company found that repayment rates for men that went through a female agent were also higher. So, when they expanded to Malawi, their strategy was deliberately focused on bringing women agents onboard, by reaching out to women’s groups, churches and NGOs that focused on women. Currently, 70% of their agents are female. Although there are strong incentives to recruit female agents, many women are reticent to get involved in traditional financial services because of a lack of collateral. Women-owned enterprises have difficulty obtaining the financing and capital necessary for set-up and growth. To empower women with an entrepreneurial spirit, there needs to be an opportunity to access lines of credit and information. To overcome this hurdle, Zoona partners with Kiva, a crowd-funding organization that raises money for entrepreneurs, which enables agents to source their own capital. According to Mr. Amade, women tend to raise funds twice as quickly as their male counterparts. In order to encourage female agents, education and information about business financing need to be provided, as well the establishment and promotion of networks of female entrepreneurs. An innovative example of collecting capital and promoting such networks is “group lending”, where women form groups to loan, borrow and support each other, which has become popular among micro-finance institutions following the success of players like Grameen Bank and Kenya Women Microfinance Trust (KWFT Bank). The African Development Bank has been working to promote both financial inclusion and entrepreneurship among women by partnering with MNOs, banks and NGOs to identify women who have the potential to be “change agents” in their communities. They are then trained to become “intermediaries” in the community for financial services, energy and health. “In these ‘person-to-person’ interactions, the agent is empowered by training, capital, and access to the internet through a smartphone. They become an information gateway for their peers,” explained Shikoh Gitau, the AfDB’s Technology Innovation for Inclusive Growth Lead. Even though female agents seem, based on existing data, to encourage better repayment and savings for both male and female end-users, there is very little accessible data about the correlation between female agents and increased usage and access. The relationship between customer and agent and their mutual level of trust directly correlates with mobile money usage and on-time repayment of micro-loans. Only 32% of mobile money operators are aware of what percentage of their customer base are female, let alone the gender composition of their agent network. And even if gender data is recorded, female customers may be erroneously recorded as male. Fortunately for financial services providers, Women’s World Banking has created a set of Gender Performance Indicators (GPIs) that formulate user data to reveal how female clients’ performance may impact the institution’s bottom line. The initiative provides a guide to better understanding how to best serve women – by measuring and analyzing marketing and distribution strategies, product design and usage. After four years of working on the GPI project, Women’s World Banking evidenced that women are a distinct and viable market. According to their research, women are lower risk, provide higher return on investment, have more brand loyalty, and on an aggregate level are more likely to repay their loans. Their findings make for a strong business case for better data and segmentation, as well as more gender diversity among agents and FSP leaders. While organizations like the GSMA and the Alliance for Financial Inclusion (AFI) are currently working to develop gender-sensitive products based on aggregate data, financial service providers seeking to access and serve women must make an added effort to gather market-specific data on how women are accessing and utilizing mobile money. As noted in a previous Mondato Insight, the optimal product suite, and the marketing and distribution channels for these products will certainly differ from one market to the next. Investing in a trusted female agent network will contribute to the growth and success of mobile money. But FSPs and operators must analyze the data to better inform the importance of building a strong female agent network, which will undoubtedly lead to a growing female customer base. Developing and tracking this data will also help to appropriately adjust operational, marketing and distribution models to improve access and products for women. If you teach a man to fish, he'll eat for a lifetime. But teach a woman to fish and she'll feed the whole village.